Daily Driver Premium Brake Kit. Quality British made EBC brake pads. Premium G3000 OE style rotors. Direct fit, no changes required over stock set up. 10,000 mile, 12 month no hassle warranty. Greenstuff 2000 sport brake pad upgrade Kit. Improved braking over OE pads. Ideal for spirited driving and fast compacts alike. Fine slotted G3000 sport rotors. Perfect for moderately upgraded trucks and light towing. Wide aperture slotted G3000 sport rotors. 10,000 mile 12 month no hassle warranty. Redstuff ceramic brake pad upgrade kit. Lowest dusting pads in EBC’s range. Performance Truck and SUV Upgrade Kit. Ideal for modified truck/SUV and aftermarket wheels. Lowest dusting truck and SUV pad in EBC’s range. SUV or Fast street car Kit. High Efficiency sport upgrade Kit. Black GD series wide aperture rotors. Sector 27 Rotors are a drilled and slotted design. Beveled drilled holes provide superior cooling under the most extreme conditions. Slots are rounded which provides consistent contact between the rotor and pad while also sweeping away gas and dust. High performance rotor that enables harder, more precise braking with temperatures lowered by as much as 180 degrees. Sector 27 Rotors are plated with silver zinc. Every rotor fits perfectly and is balanced to stringent specifications. Sector 27 Rotors for a multitude of vehicles including cars, trucks and SUVs and in a number of configurations. 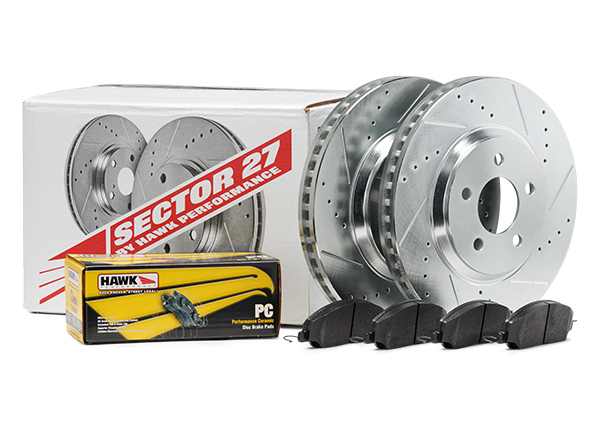 Sold in pairs for the front or the rear, as a rotor and pad combo kit with 2 rotors accompanied by either Hawk’s popular HPS, new 5.0 or LTS (Light Truck SUV) brake pads. 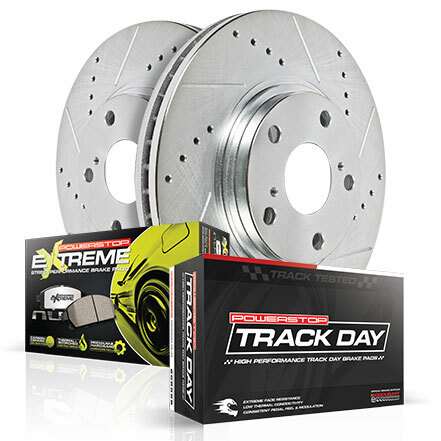 Take your street performance and stopping power to a new level with our Race Proven Street Legal, Sector 27 rotors. 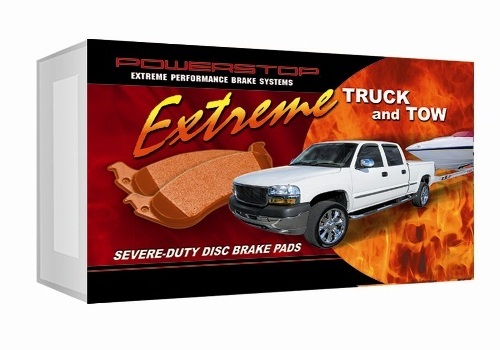 Power Stop is an aftermarket leader in High Performance Brake Rotors and Brake Pads. 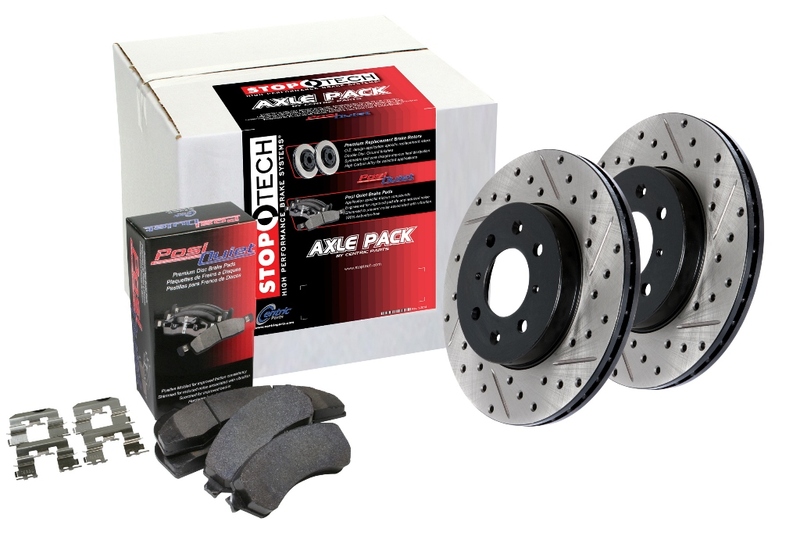 Power Stop makes ordering brakes fast & simple with their brake kits that include rotors and pads for either the front axle, rear axle or both front & rear. 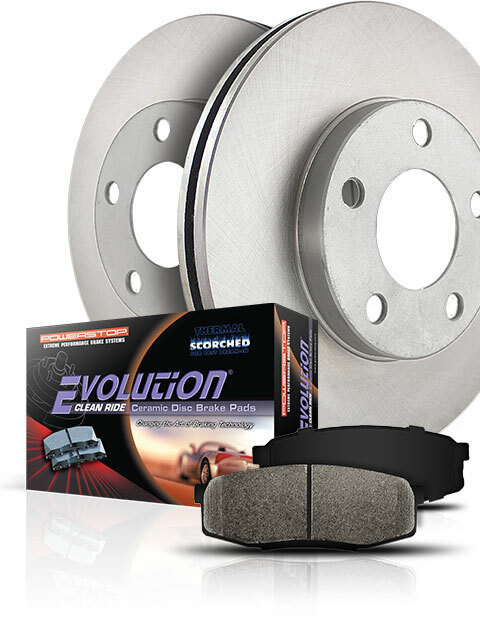 Power Stop Brake Kits feature drilled and slotted rotors and Z16 Evolution Ceramic Pads or Z36 Truck and Tow Pads. Since 1997, Power Stop has provided solutions to the toughest brake challenges. Their philosophy is simple: replacement brakes should perform equal to or better than the original equipment parts. 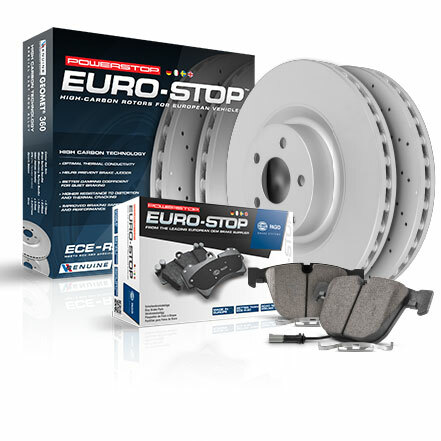 Power Stop backs their Brake Rotors with a 3-year / 36,000 mile warranty against cracking (when combined with Power Stop Brake Pads purchased and installed together). 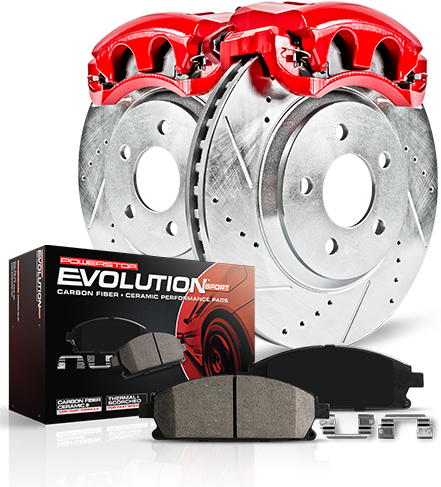 Power Stop 1-Click brake kit with Evolution Ceramic Brake Pads. Power Stop 1-Click brake kit with Heavy Duty Truck and Tow Brake Pads. 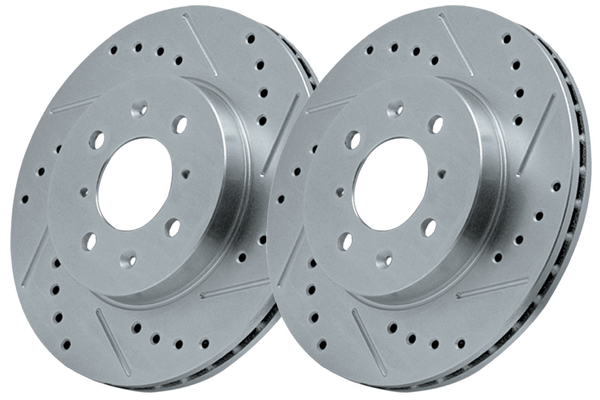 Power Stop cross drilled and slotted performance brake rotors - sold individually and in pairs. 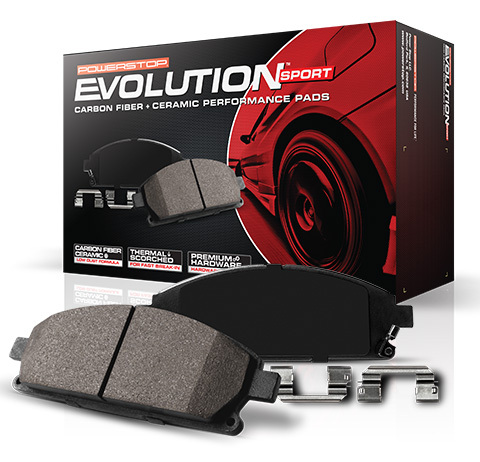 Power Stop Z16 Evolution Ceramic Brake Pads. 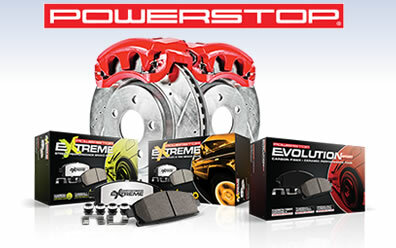 Power Stop Z17 Evolution Plus Ceramic Brake Pads - with hardware. 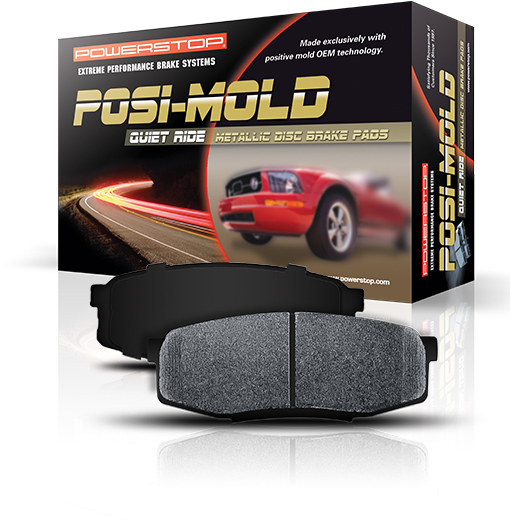 Power Stop PM18 Posi Mold Brake Pads. 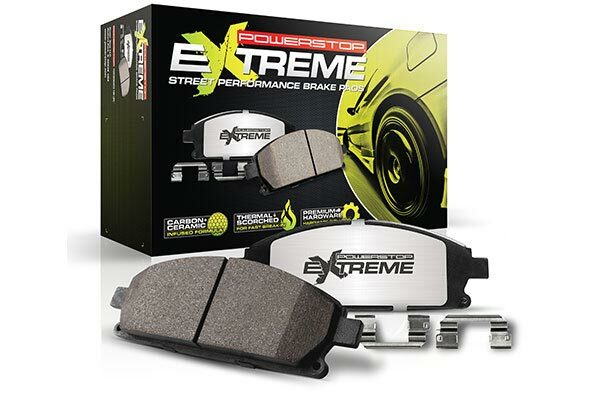 Power Stop Z26 Extreme Brake Pads. Power Stop Z36 Truck and Tow Brake Pads. Includes a pair of Power Stop cross drilled and slotted rotors and Power Stop Z16 Evolution ceramic pads. 1-Click Brake Kit – for front axle OR rear axle OR both axles (when available). Components engineered to work together – Power Stop makes it simple by matching the pads & rotors for a big brake feel without the big brake price. Power stop Ceramic Pads offer more bite than other leading brands without the noise & dust. Power Stop Drilled & Slotted Rotors look great behind factory or custom wheels. Don't just stop — Power Stop!. Includes a complete set of zinc plated cross-drilled and slotted rotors. 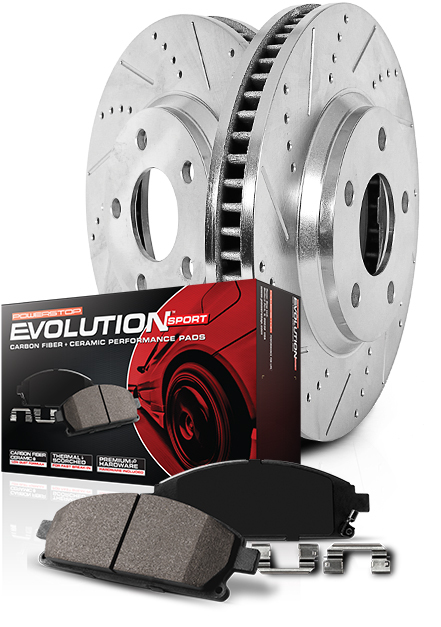 Includes high performance Evolution Sport Carbon Fiber/Ceramic pads. .
Made simple by matching the pads and rotors for a big brake feel without the big price. Offers more pad bite than other leading brands without noise and dust. Fast, easy and affordable solution for better braking. 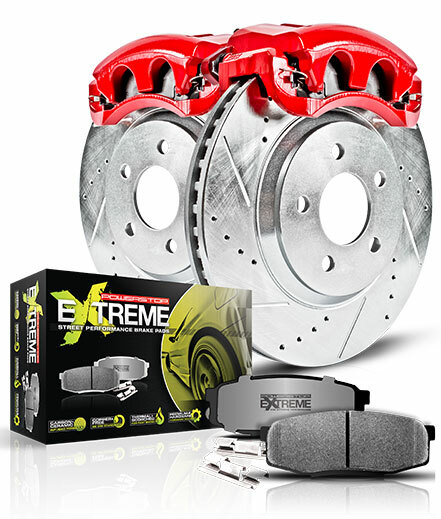 • Includes Extreme Street Performance brake pads made for high performance street drivers who demand shorter stops under the most demanding conditions. . Brake torque is consistently higher than OE pads with outstanding thermal stability. Pads are best suited for high horsepower cars and big wheel upgrades. Friction compound is a carbon fiber and ceramic hybrid that resists fade to 1500 degrees. With Z26 pads, you can count on superior pad bite without dusty wheels. Includes drilled and slotted zinc plated rotors. Includes a pair of Power Stop cross drilled and slotted rotors and Power Stop Z36 truck and tow pads. Power Stop Truck & Tow Pads offer 20% more stopping power than other leading brands. Recommended for towing & hauling. For consumers seeking OEM level quality for a lot less than the cost from the new car dealer. Engineered to meet the strict European ECE-R90 standards ensuring OEM performance and safety. ECE-R90 is required for all replacement brake disc and linings sold throughout the European Union. Disc brake rotors are coated using genuine Geomet for optimum anti-corrosion protection. 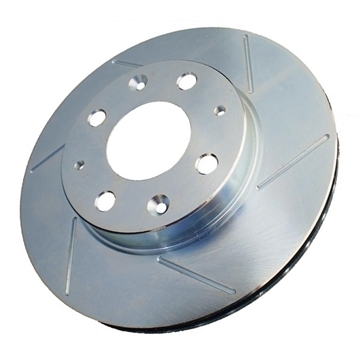 Disc brake rotors are cast using High Carbon metallurgy, providing the highest coefficient of friction for increased performance, optimizing thermal conductivity for resistance to thermal distortion and cracking, & improving damping coefficient to reduce squeal. Disc brake rotors machined to OES specifications for quiet, smooth braking. Electronic wear sensors are included from a leading European OEM manufacturer. An affordable brake setup that comes with track tested rotors and pads for the weekend track day, as well as a set of street pads for the drive home. High cold coefficient of friction. Increased friction as heat increases. Low rotor wear compared to race pads. Includes red powder coated brake calipers. Includes high performance Z23 Evolution Sport Carbon Fiber & Ceramic pads. Rotors and calipers look great behind stock or custom wheels, they perform better than stock as well. Every caliper is expertly remanufactured, lubricated, and pressure tested. Fast, easy and affordable solution for better braking and better looks. Includes a complete set of cross-drilled and slotted rotors. Includes extreme performance Carbon-Fiber Infused ceramic pads. Rotors and calipers look great behind stock or custom wheels, they perform better than stock as well! Don’t just stop, Power Stop! Rotors and calipers look great behind stock or custom wheels, they perform better than stock as well! Every caliper is expertly remanufactured, lubricated, and pressure tested. Advantages of both drilled holes for cooling & slots to sweep away gas & dust. Drilled holes keep rotors up to 180° cooler. Slots keep a clear contact patch between the pad & rotor. Silver zinc plated (except for hub rotor assemblies) to resist rust. Look sharp behind factory or custom wheels. Popular for street and day track applications. Sold individually & in pairs. Slots sweep away pad dust & gas trapped between pad & rotor for improved contact area. 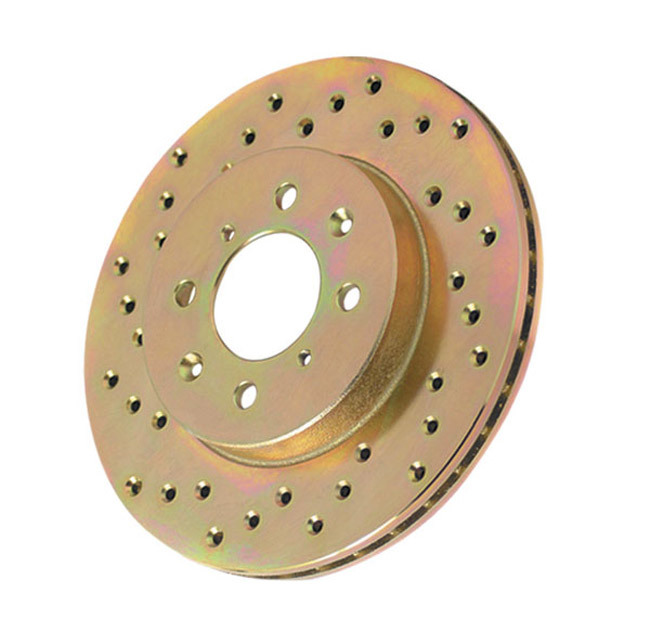 Help braking performance when large amounts of brake dust are generated. Provide more pad bite & fast brake response under extreme conditions. Exceptionally good for high speed stopping power. Best suited for auto-cross, off-road & track racing. Drilled holes allow air to flow over & through the rotor to cool the brakes up to 180° more than standard blank rotors. The lower temperature helps prevent pad glazing & brake fade. Can prevent warping & improve brake output up to 37%. Gold zinc dichromate helps keep rotors looking new. Recommended for high-performance street driving, especially when replacing "warped" rotors. 20% more stopping power than other leading brands. Thermal scorched for fast break-in. Low dust formulation – true ceramic formula that keeps wheels cleaner and won't wear-out rotors. Positive mold technology – assures uniform friction density throughout the pad. Shims made with dual rubber layers over constrained steel for noise-free braking – offer 6x more noise reduction than plain steel shims. Chamfered & slotted like original equipment. 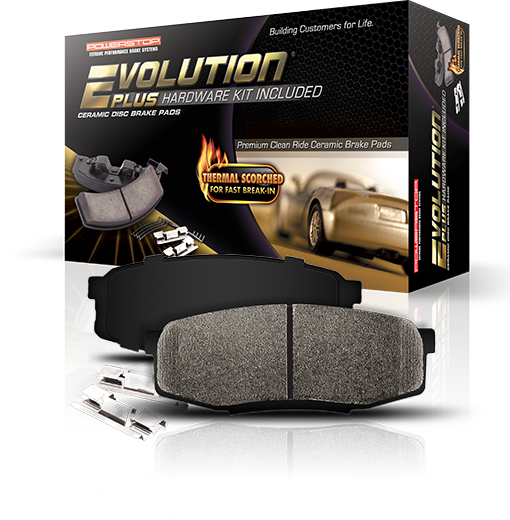 Z16 Evolution Ceramic Brake Pads with Hardware Kit included. Designed for quick brake response and superior stopping power. Made with dual layer rubber shims to dampen vibration and eliminate annoying brake squeal. For vehicles that come with OE semi-metallic pads. High performance compound with quick brake response. Metallic & ceramic hybrid formulation resists fade up to 1500°. Designed with a consistently higher brake torque than OE pads with outstanding thermal stability. Stable mu at high temperatures to reduce brake fade. Superior pad bite without dusty wheels. For high-performance street drivers that demand shorter stops under the most demanding conditions. Best suited for high horsepower cars & big wheel upgrades. Designed with extra stopping power for those that drive hills, haul loads or tow trailers. Specially engineered for more brake torque on trucks & SUVs with higher gross vehicle weights. Thermally stable compound to provide stopping power when you need it most. Extreme pad bite offers superior performance to avoid high temperature brake fade. Feature a coefficient of friction 17% higher than OE pads. Metallic formulation provides long pad life for severe duty & commercial applications. Available for most driving needs including Daily Commuter Duty , Towing or Hauling, Off-Roading, Weekend Canyon Carving, Track Day and Autocross Action. StopTech and Centric brake systems offer significant improvements to braking performance. Axle Pack pre-selected components provide easy parts selection. 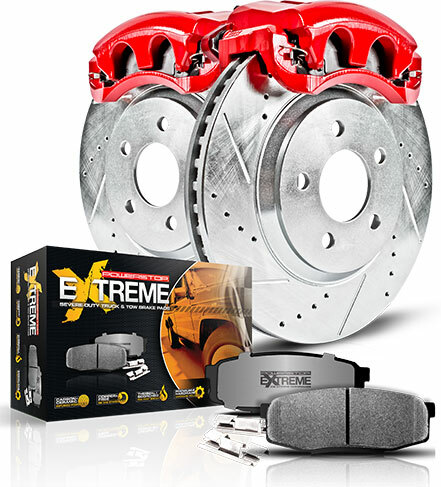 OEM sized rotors allow retention of existing factory calipers for more affordable upgrades. Quality is assured. All components are manufactured to meet or exceed factory specifications.